Any apps especially for ajummas? Anipang was very popular about 5 years ago and people rarely play that game any more, but my mum and her friends do! My mum said that Anipang is a simple to play but still very exciting. And I just ask her trying other games as well but she said other games are too complicated to play. And she and her friends use almost same apps everyday. I know and you know there are plenty of apps are inventing and developing every seconds and overtime it is so hard to choose one app among thousands of apps. But this story is only for us, not my mother and her friends at all. Of course, she uses various apps such as public transport tips, schedule, radio, etc. 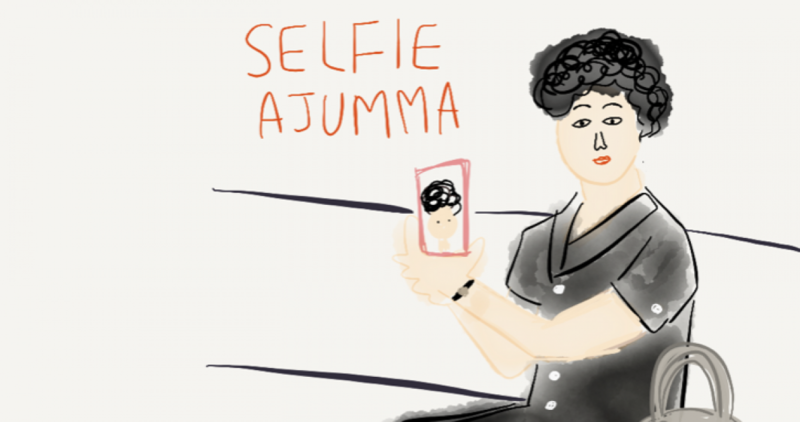 But I think there’s not enough apps were developed that targets for only ajummas, middle-aged women in Korea. The biggest problem (I think) is there’s not enough research about ‘needs for ajummas’ has done yet. Ajummas and Ajeossi (middle-aged married men) are just use apps that were developed for younger people the most, I can say. If I have any chance, I really want to research and develop the apps, especially for ajummas and ajeossis. I really hope. Then my mother, her friends and ajummas in Korea will enjoy and enrich their mobile communication through using smartphones. Posted on 16 Apr 2016 16 Apr 2016 by moon ajummaPosted in Smart Ajumma (English)Tagged ajeossi, ajumma, ajummas, application, apps, 아줌마, 한국, Korean culture, Korean study, Korean women, new technology, smart ajumma, smartphones.